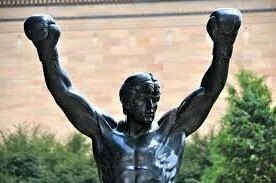 Sylvester Stallone, the creative genius behind the universally known and beloved boxer Rocky Balboa, was recently honored with the Golden Globe for the best supporting actor in his seventh “Rocky” film Creed. Mr. Stallone may yet again be awarded an Academy Award [Rocky won Best Picture in 1977], in now-realized recognition of his talents as an actor. An Award-Winning Documentary Film Maker Learns the MSI Technology! We recently applied DigiGait to the study of mice with a mutation in the gene that encodes transforming growth factor-β3 (TGF- β3), a murine model of a rare condition, first reported in young Ms. Bea Rienhoff. Bea’s symptoms include postural abnormalities and low muscle mass. DigiGait was designed to identify, in mice, subtle deficiencies in strength, balance, and coordination that are often present with rare diseases. 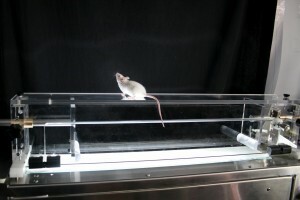 The animals were provided to the Mouse Specifics team by Thomas Doetschman’s laboratory at the University of Arizona in Tucson.